Three-time world chess champion Viswanthan Anand on Thursday said he was lucky to meet American Bobby Fischer who according to him was the greatest ever chess player. Asked to compare between Fischer and Kasparov, Anand said, "It's difficult to comapre... But, Fischer made the biggest impact in the game. He is a very special person, and I was fortunate to meet him two years ago... He passed away recently, now I consider that I was lucky to meet him." However, Anand, who recently defended his world championship title against Russia's Vladimir Kramnik in Bonn, said Kasparov was remarkable as he had a longer reign than that of Fischer. 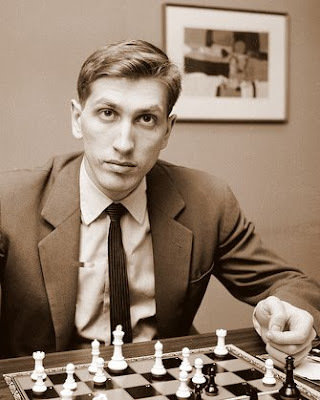 "While Fischer was great in 1970s, Kasparov had a much longer reign from 1984 to 2005... Which is really remarkable." The 40-year-old, however, rued that he did not have much chance to play against Kasparov who retired three years ago. "It's sort of a pity but that's life... It would have nice to have a big match with him. He is obviously a great player. But I didn't have the chance to play to Kasparov in the last few years. In 2005, when he retired, there was no possibility to play against him," he told reporters. But he felt now the competition had become too close at the highest level of the game. Five years ago, there was a huge difference between the three of of us - Anand, Kasparov and Anatoly Karpov - and the rest. But now, only 30 points separate the top six players." "In different years, there are different players... In 2002, it was Topalov who was very difficult to face... In 2007, it's Carlsen. Every year there's some new talent who brings something new to the game."